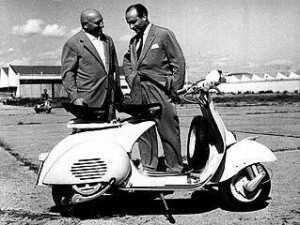 Corradino D'Ascanio, the aeronautical engineer whose design for a clean motorcycle turned into the iconic Vespa scooter and who also designed the first helicopter that could actually fly, was born on this day in 1891 in Popoli, a small town about 50km inland of Pescara. The engineer, whose work on aircraft design during the Second World War saw him promoted to General in the Regia Aeronautica, was always passionate about flight and might never have become involved with road vehicles had he not been out of work in the post-War years. His scooter would have been built by Lambretta had he not fallen out with the company founder, Ferdinando Innocenti, in a dispute over his design. Instead, D'Ascanio took his plans to Enrico Piaggio, with whom he had worked previously in the aeronautical sector. 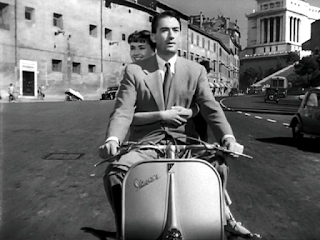 Piaggio saw in D'Ascanio's scooter an irresistible opportunity to revive his ailing company and commissioned the design, which became known as the Vespa after Piaggio remarked that its body shape resembled that of a wasp. After graduating in 1914 in mechanical engineering at the Politecnico di Torino, D'Ascanio enlisted in the voluntary division of the Italian Army entitled "weapon of Engineers, Division Battalion Aviatori" in Piedmont, where he was assigned the testing of airplane engines. He undertook a brief pilot training course but soon returned to engineering. He spent a year working in America immediately after the end of the First World War. On his return to Italy he set up a company in partnership with Baron Pietro Trojani, a wealthy friend from Pescara province, with the sole aim of proving the viability of an idea first mooted by Leonardo da Vinci, namely that an aircraft could fly by means of a vertical rotating mechanism. 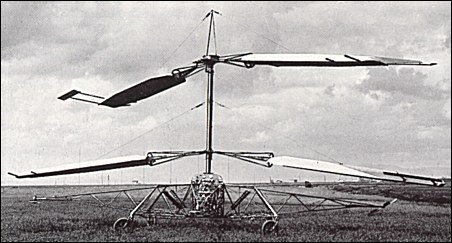 D'Ascanio achieved his objective in 1930 after his D'AT 3, commissioned by the Ministry dell'Aeronautica and which had two double-bladed counter-rotating rotors, successfully took off at Ciampino Airport, south of Rome, and made a flight lasting eight minutes and 45 seconds. His ambitions to build more aircraft were thwarted by several factors. Firstly, Mussolini's government wanted the aeronautical industry to concentrate on standard products and D'Ascanio's helicopter company collapsed in 1932. He found employment with Piaggio only for their factory in Pisa to be destroyed during the Second World War. After the conflict ended, the terms of the peace settlement included a ban on both research and production in military or aerospace technology in Italy for 10 years, which meant effectively that D'Ascanio was unemployable. 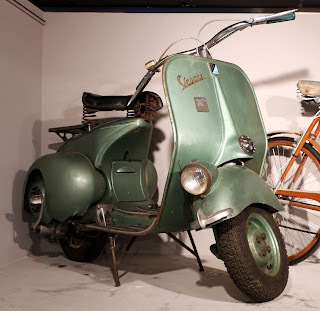 The offer to design road vehicles came from Innocenti and the Vespa would have been a Lambretta product had D'Ascanio been allowed to build it to his exact specifications. But Innocenti wanted the frame made from rolled tubing that he could produce in another of his factories. D'Ascanio told him it was not suitable but he would not back down. As a result, D'Ascanio left Lambretta for Piaggio, taking his design with him. The Vespa, with its aerodynamic body shape, enclosed engine and ease of mounting and dismounting, was a massive success. Launched in 1946, it has sold approaching 20 million machines. Naturally enough, D'Ascanio was lauded for his design as the Vespa turned into a classic of Italian technology that appealed not just to buyers who wanted an easy means of two-wheel transport but to admirers of Italian style, particularly after Audrey Hepburn and Gregory Peck toured Rome on the back of one in the film Roman Holiday. Yet he was deeply frustrated when Piaggio diverted resources away from the aeronautical section of his business in order to exploit demand for the Vespa. 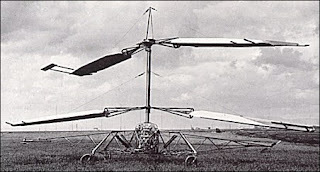 Eventually, in 1964, D'Ascanio left to join the Agusta group, where he designed the ADA training helicopter, which was later modified for agricultural use. Recognised for his achievements with the Order of Merit of the Italian Republic, D'Ascanio died in Pisa in 1981, aged 90. 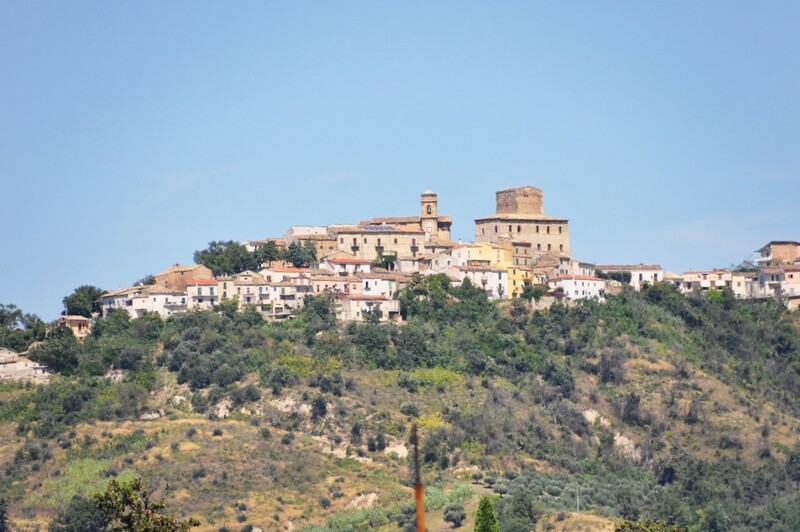 Popoli is small town between mountainous L'Aquila and the coastal city of Pescara in the Abruzzo region. It consists mainly of rural housing but there are a few buildings of importance such as the beautiful 18th century church of San Francesco and the ducal Palace of the mid-14th century. Much of the town was destroyed in Allied bombing raids in 1944, when its strategic position in a valley made it a target. Visitors to Italy can learn more about D'Ascanio's work at to the Piaggio Museum at Pontedera, the industrial town in the province of Pisa in Tuscany, which is the headquarters of the Piaggio company, as well as of the Castellani wine company and the Amedei chocolate factory. 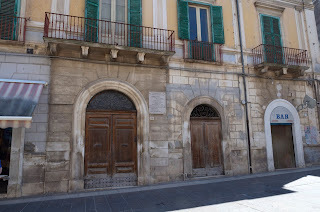 D'Ascanio's house in Popoli is commemorated with a wall plaque.